The majestic and rugged Cederberg mountains are only 2½ hours drive north from the beautiful city of Cape Town, South Africa. 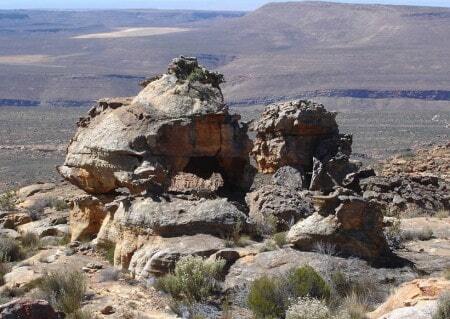 It has a spectacular mountain landscape, is a treasure house of rock art and has a rich botanical diversity, being part of the Cape Floral Kingdom . A major portion is a proclaimed Wilderness Area that recently obtained World Heritage status. 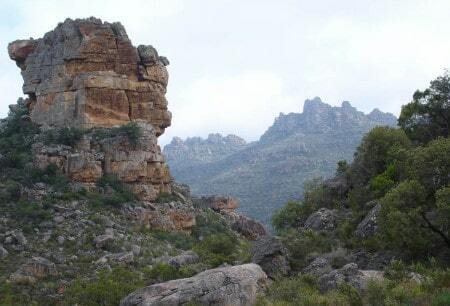 Cederberg Heritage Walk offers a community-based hiking experience in the Cederberg mountains located in the Western Cape, South Africa. The hikes are escorted by local community members. 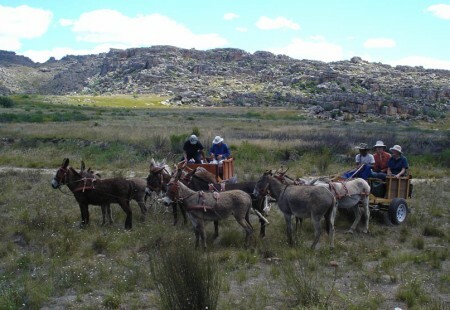 It includes accommodation, meals, guided rock art visits, donkey cart drives and entrance fees. 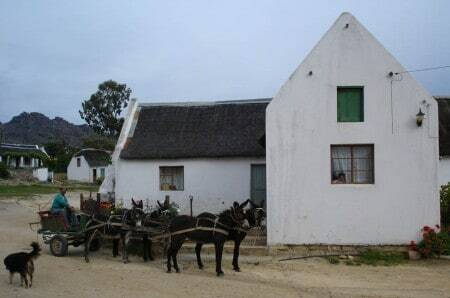 Guests stay at comfortable guesthouses, guest cottages or homestays, some in the picturesque Moravian mission villages.Overnight luggage is transported to the next night’s stay, walkers only have to carry day packs. a 2-3hr guided rock art walk (optional). the 12km Donkey Cart Trail which, if you choose to walk it all, takes about 3hr and involves 300m of uphill and 250m of downhill walking (rating 2A), followed by a 2-3hr guided rock art walk (optional). Extra day: All the above four hikes have an optional extra day/night for a strenuous mountain climb up the spectacular Krakadouw Peak or an easy circular, scenic walk through the hills to a lovely pool for swimming . Both start and end in the village of Heuningvlei.